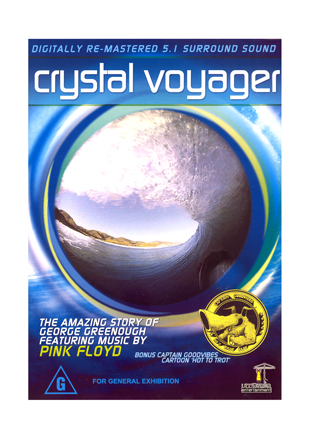 Crystal Voyager (1972) has been digitally re-mastered and made available for the first time as a special edition DVD, with a range of additional features previously unavailable. Crystal Voyager broke boundaries when it made, marrying spectacular imagery with the perfect music track. 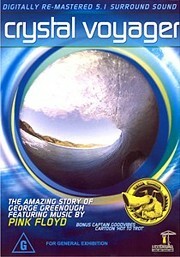 The first section of the film is surfer/cameraman extraodinaire George Greenough building his own unique designed boat interspersed with him searching for the perfect waves. The last twenty minutes are the familiar sonar sounds of Pink Floyd's Echoes as we are led by a dolphin into the unknown. We become a dolphin,experiencing the sights and sounds first hand.